It is with great enthusiasm that TCO Command is proud to give the LiF Chapter the Tier 2 status. Congratulations to all of you, well done! Camelot Unchained is currently in Beta 1. We had a great end to the week, with a �Welcome Back� to our IT testers, re-opening Hatchery and getting some IT Backers in for an SNS playtest on Fledgling. Much fun was, had, much laughter, much killing, and it felt great! It was a great point of progress for the team, and it only gets better from here. As with our previous weeks, much of this update will cover a lot of work going into not only the SNS tech, but also improvements and fixes to the look and feel of combat, all of which helps pave the way into Beta 1. Let�s move into the highlights of the week. If you want the more detailed version of the month�s progress, you can check out our User Stories below, or use our website to search for specific topics you�re interested in. If you just want to check out the art, start scrollin! The spawn points have been upgraded to have spawn IDs. This allows us to no longer use hard-coded spawn positions, allowing us to quickly iterate on the specific position of where players spawn in the world editor. We�ve expanded the game gules for scenarios, which makes it easier for us to add new rules to scenarios and/or rounds later. Marc has been dusting off our logging infrastructure in preparation for testing, so we can get valuable information about what the code is doing and where it is less performant while we play. Christina has been focusing on supporting item loadouts. Scenarios can now replace your normal gear and inventory when you enter them, and also have the capability to append items to your inventory. These items are �gifted� for use only during that scenario and your normal gear is returned when the scenario is over. This aids in testing different item combinations without forcing testers to set up their characters in a certain way. It also allows for a scenario to grant an extra special item that is tied to the rules of the particular scenario. WIP � Tech � Animation support: Brad has continued to expose animation debugging information to our animation team. This week he�s focused on exposing region priorities in the PerfHud, which lists the regions an animation has, its blend mode (non, modify, overwrite), and its current blend amount. This is a major workflow improvement for our animators, which allows them to build, test, and tweak animations at a faster rate! WIP � Tech � Tools Support: Bull has been cranking away at making our tools even more useful for our team. He�s made an entity editor and improved the world editor so that people can design entities exactly where they are needed on the map vs. jumping between editors. Bull is also creating editor controls that make the above simpler, and lets him implement the idea of �templated content� retroactively to content we already have. This means less bugs for the designers to work around, and makes it easier for other programmers to compose tools for new features. Related to that, Bull is building templated content which lets content designers use things they already made instead of maintaining multiple copies of the same content. Having a templated content system has a direct effect on the ability of designers to create, fix, and test different ideas for content. WIP � Tech � Particle Bug Fixes: Dave has been supporting Mike by fixing several particle bugs we�ve found during playtesting new VFX. Luckily, several noted bugs were all similar enough Dave was able to knock several off quickly. These fixes should go in for testing next week. WIP � Tech � Drag and Drop: AJ is adding Drag and Drop functionality to our UI, which is in its second round of review. AJ is building this code in a way that it can be used across multiple UIs. Players will first see it (and play with it) in the inventory and inventory and equipment screen. WIP � Tech � Battlegroups: JB continues his work on adding battlegroups. Currently he�s updating the Web API and UI layer to facilitate real-time updates of active groups, so as players join new groups they are notified right away. This piece of tech, and integrating it into our scenarios, will allow us to support our previously shown huge battles in our SNS scenarios. WIP � Tech � Healer NPCs: After adding melee and archer NPCs, it only felt right that we add some healers to the mix. Colin is currently building these new behaviors into our NPCs, which will provide a way for us to make playtests more varied and effective. Tech � Progression Tracking Upgrades: Christina has been adding summary information on a per realm basis. She�s also upgraded scenario summaries to know more stats specific to the scenario and rounds in the scenario. She�s also splitting up players and NPCs, so we don�t factor in non-player characters into player stats. This will give us better stats for us to help do things like balance the game. Some of this data will become player facing so our Backers will know more about what their characters or realm is up to. Art � Concept: Michelle completed her pass on the TDD boat concepts, then provided Jon with an update to the female NPC clothing, which synced them with the male versions and fixed possible rigging issues in the modeling phase. She is finishing up the week working on SNS splash image ideas for the patcher. WIP � Art � Female NPC Clothing: Jon has moved onto the NPC clothing for the ladies of CU. He�s completed a high and low modeling pass on the Arthurian outfit, and is currently working through the TDD variation. It is with great enthusiasm that TCO Command is proud to give the ESO Chapter the Tier 4 status. This is the first chapter to do so without a member of Command at the helm. Congratulations to all of you, well done! 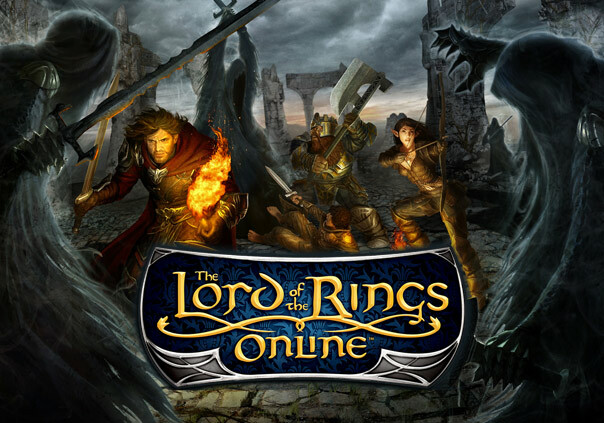 The Crimson Order has officially entered the Lord of the Rings Online (LoTRO) on the Crickhollow server. If you are interested in joining, please speak with Vaylen. TCO Command is proud to announce that TCO will be starting a Tier I Albion Online Chapter. For those wishing to play this game and be a part of a start-up chapter, please send a message via Discord to Ewel or Thor's Hammer. Please join TCO Command in Congratulating Korran Acoron in becoming the XO for the EVE chapter! Please congratulate the ESO chapter on achieving Tier 3 status! Their leadership has been busting their balls and the hard work is paying off. Good Job guys, keep it up. The full match schedule can be found here on the community website. TCO Command would like to take this time to thank Specter Walston for all of his hard work and dedication over the years. Specter has decided to step away from Command and in-game responsibilities to concentrate on his career and school. We thank him for his time and efforts in Archeage, EvE, and our pre-launch work on Star Citizen, as well as all of his work while a member of TCO Command. For all personnel issues that were formerly under the purview of Specter, please contact Ewel. TCO Command would like to take this moment and Congratulate Venus Fallen into the Command ranks. Venus is now our Community Leader in charge of all social media. Specter has taken over the job of Community Leader in charge of all membership. Please join me in congratulating them both. Bravo Zulu gents!